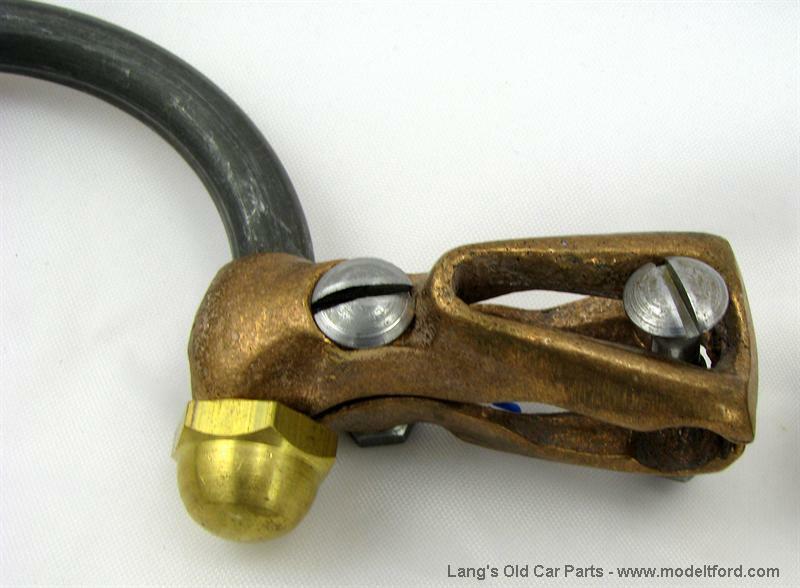 These wind wing brackets are for open cars and trucks. 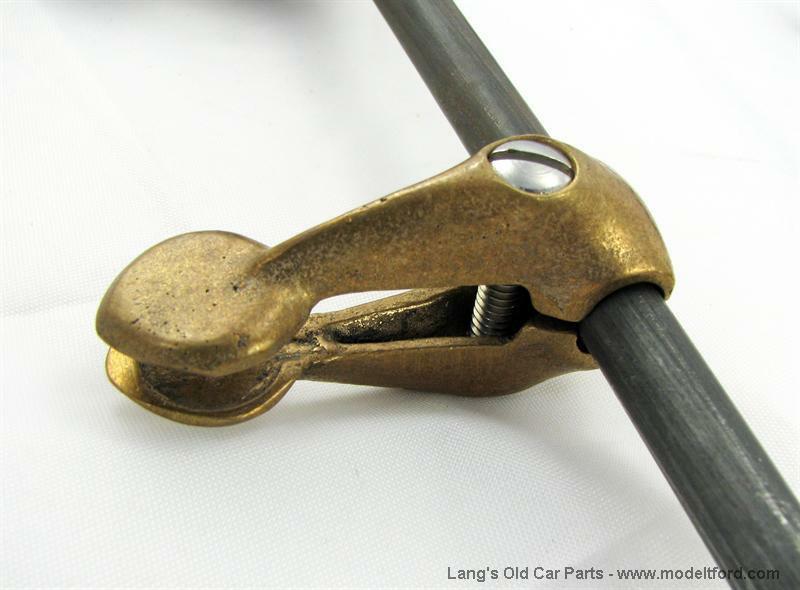 They clamp to the sides of the windshield frame on 1909-1922 cars and can be modified to fit the 1923-1927 open cars by filing down the inside of the clamps so they will clamp onto to the windshield posts (stantions). 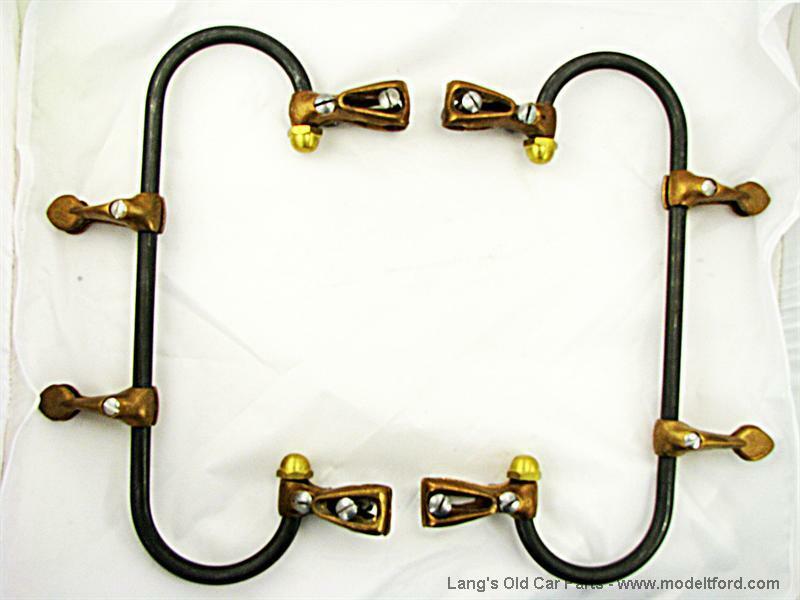 The mounting brackets and glass clamps are unpolished cast brass, the acorn nuts are brass, the "C" shaped part of the bracket is unpolished steel. NOTE: Does not include glass but has a template for having your glass cut.